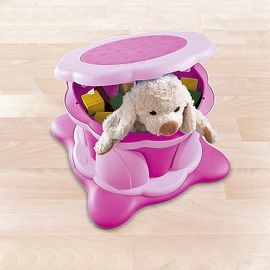 Petite Planet: TummyTub Two-Step Stool & Stand Makes Baby's Bath Time Less Taxing on Your Back! TummyTub Two-Step Stool & Stand Makes Baby's Bath Time Less Taxing on Your Back! Remember my rave review of the TummyTub? As if we weren't excited enough to give this innovative, BPA free, recyclable infant tub a try once our little guy arrives, now we're even more equipped to give him a safe, fun bath time by using the TummyTub in tandem with the TummyTub Two-Step Stool & Stand. And I am certain our aching backs will be thanking us! 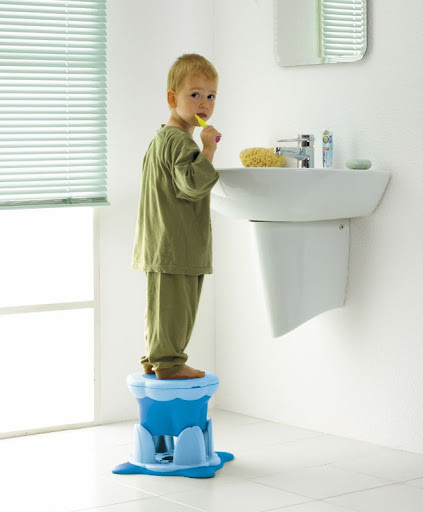 I really like that the TummyTub Two-Step Stool & Stand stand is so multifunctional, and that it will accommodate kids from infancy through childhood. You start by using it as a stand to prop up the TummyTub, enabling you to sit in a chair while bathing your child -- instead of having to lean over and compromise your back. It features two adjustable heights to accommodate moms and dads of varying sizes. Once you've finished using the stand component, you may convert it into a child's two-step stool or seat -- and the stool also contains a storage compartment for toys or bathroom accessories. And believe me, you'll need step stools for every bathroom in your home once potty training and hand-washing begin. Click here for purchasing information on the TummyTub and the TummyTub Two-Step Stool & Stand.